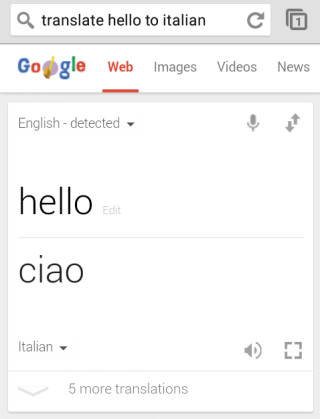 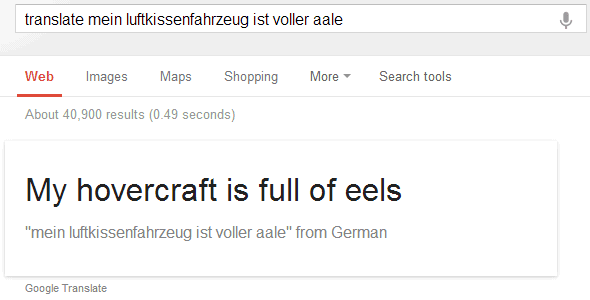 Google updated the translation card and made it more useful and more interactive. 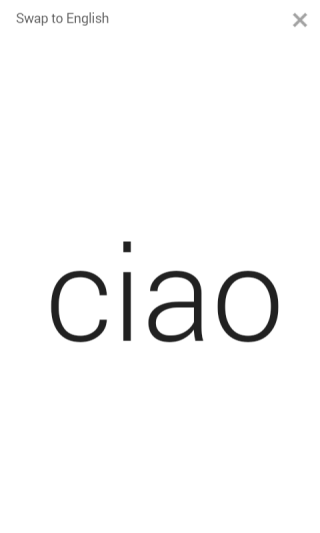 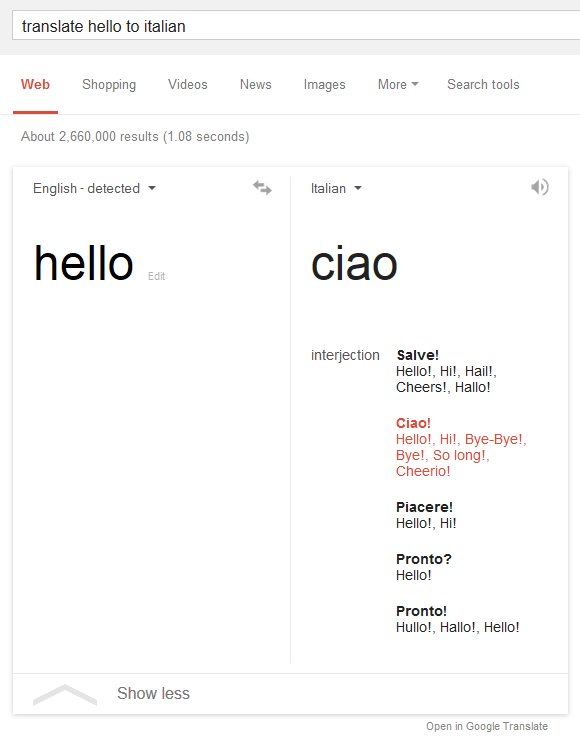 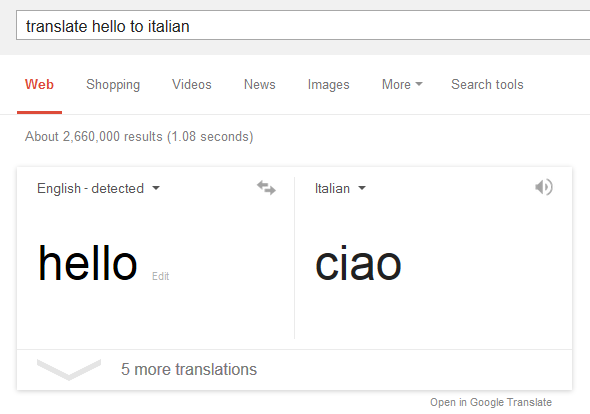 When you search for [translate hello to italian] or other similar queries, Google lets you change the input language and the translation language, switch between the two languages, edit the text you want to translate, listen to the translated text and find alternate translations. 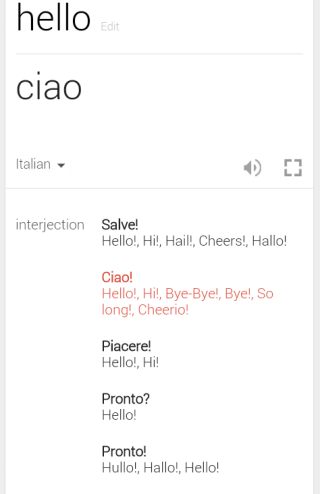 If you use the mobile interface, you can also enable a full screen mode.